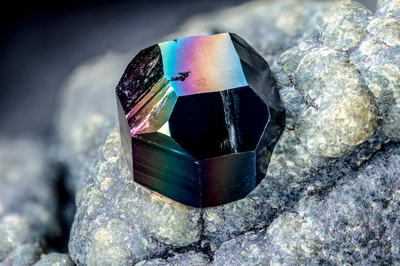 A black crystal of magnetite, with iridescence, on lizardite in green-gray spheres. Collection and photo by Gianfranco Ciccolini. Nikon D750, bellows, Luminar 25 mm.